A very popular question in our line of work, and a question we certainly love answering in the affirmative. But before we can even attempt to answer that question, there is a lot of work that needs to occur. Sometimes this can be done in the weeks, months, and years leading up to that question. Our clients experience a variety of motivations throughout their lives. These motivations are the very reasons that inspire them to work with our team on developing a comprehensive financial plan. Whether for their family or their business, it is equally as important. As we work together through the planning process, a lot of questions are answered that help us chart a clearer path toward the ultimate goal. -Have I protected my family in the event of an emergency or disability? -When should I apply for Social Security? -Can I retire and maintain my lifestyle? The answer to most of these questions is largely dependent on spending habits, and the clients ability to maintain and stick within a budget. A household’s perceived amount of spending versus its actual amount of spending can move the needle on when they can comfortably retire by a matter of years. As a result, we see tremendous value in the expense gathering process because it allows us to generate the most accurate projections. 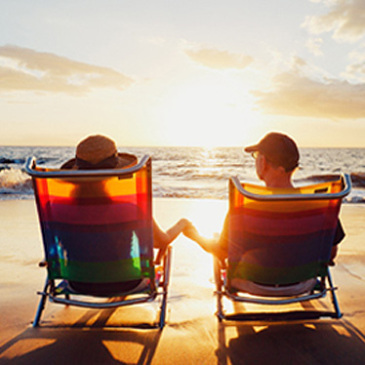 It allows us to provide the best guidance in addressing the ultimate question “can I retire?”. Contact us to have a conversation about developing a financial plan tailored to you.